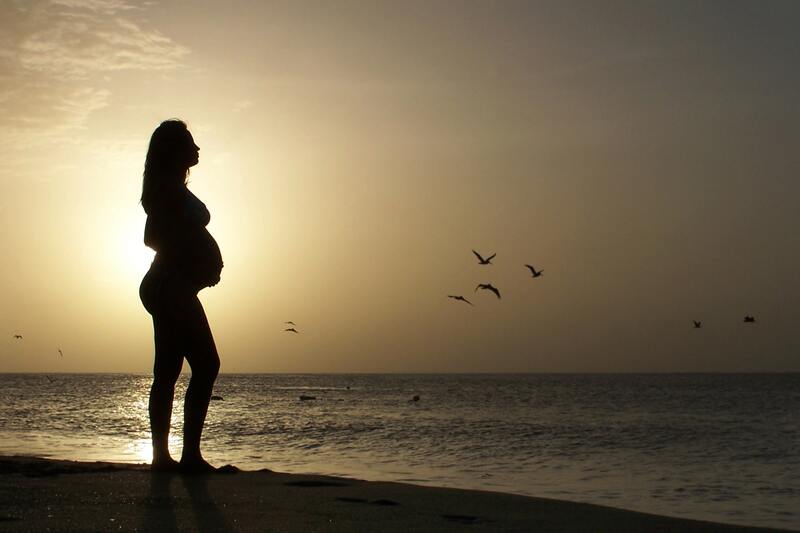 Where a woman chooses to birth her child has many complexities behind it. Before I get started though, I want to make something clear. To anyone who has given birth, no matter how it happened, you are a rockstar. For real. Labor is hard work, and you should be proud of your ability to bring life into this world. I definitely made decisions for my birthing process that will not be the same as the next mother, but that is part of the beauty of it. As a woman and as a mother, I feel very strongly that we should all have the freedom to make that choice in birth settings for the wellbeing of ourselves and our babies. I don’t take very many decisions that have an effect on the health of my family lightly though. My decision to opt for a homebirth was based on a lot of research, much of which may surprise you. Don’t get me wrong here. I did not start out as a homebirth hippie. My plan was so, so far from it. I had a much different view of childbirth before I actually started digging into the research available. If you had asked me at any point prior to a couple months before becoming pregnant with my son how I pictured having children, it went something like this: I would have an elective cesarean section with as little consciousness of the actual procedure as possible. If they could completely knock me out, all the better. Then I started down the rabbit hole. When I became pregnant, I knew that I had a lot to learn. I knew that my decisions in pregnancy were important and would have an effect on my baby. So instead of taking the advice of others at face value, I jumped in and started reading and researching. As many health professionals have come to realize, health starts in the gut with the microbiome. For babies, the microbiome develops during the birthing process. This seeding of microbes does not happen to nearly the same extent during a cesarean birth, and this can put a child at risk for health conditions down the road. Furthermore, a cesarean section is a major abdominal surgery. It comes with its own set of dangers, risks, side effects (as do most interventions, including Pitocin, epidurals, etc. ), and a longer recovery when compared to vaginal birth. Additionally, choosing to be induced, versus letting your body go into labor naturally, comes with a list of some pretty big risks, including a higher chance of cesarean section. So I guess that option was out in my book. Going deeper, it turns out that births attended by midwives tend to have better outcomes than those by obstetricians. Sure, you might think that since obstetricians attend most births in the US only a few low-risk mothers see midwives. However, in other countries, midwives are the norm for everyone unless you have a reason to have a doctor present. We need to keep in mind that obstetricians train in disease and crisis management. They learned to look for things that go wrong. This can be helpful at times but can also lead to them finding issues where none exist. When comprehensive work with normal pregnancy and birth is not the focus of training, it is hard to completely trust a woman to do what her body is literally designed to do: give birth without intervention. Beyond this, there is even research to suggest that having a midwife attended homebirth results in better outcomes than even a midwife in a hospital setting. Again, we have to keep in mind that roughly 99% of births in the US happen in a hospital setting. Some may find it surprising that the US has some of the worst maternal and infant death rates when compared to other industrialized countries though. European countries have much better infant and maternal outcomes. Some of those countries, such as the Netherlands, see almost 30% of births happening in homes. And just like that, my initial birth plan was all out the door at this point. To top all of this off, I knew that I wanted a calm birthing experience. I wanted to relax, eat, drink, and move about as I pleased. Giving birth on your back while strapped to a bed is not my idea of comfortable, nor is it a biologically appropriate position to birth a child in. Just think about that for a moment. If you want your hips to get a little wider to accommodate pushing a baby through them, there are much better ways to do this. Ways that don’t require you to fight gravity. After finding and speaking with a homebirth midwife in my area, I was sold. I got to stay in my own home, in my own clothes, and in my own comfort zone. I ate my food, labored on my own bed in whatever position I felt comfortable, and I got to experience the gift the life in a warm loving environment without the harsh lighting and antibiotic-resistant bacteria. And I could not be happier with my decision or prouder of what my body was able to do all on its own. A woman’s body is designed to grow, birth, and feed a baby. I trust that intuitive nature of a woman’s body, and I trust the subtle ways that a woman’s body and her baby communicate during the birthing process. For sure there are times when medical interventions are necessary and worth the risks, but birth is not an inherently medical procedure. We don’t always have to complicate it. So I love Jim Gaffigan’s comedy work. Seriously, you should check it out. He has a great comedy skit on homebirth that is hilarious. I laugh so hard watching it, I usually tear up. There are even memes of his thoughts on homebirth. You can check out some of his homebirth skit here. It is in the first half of the video, but the whole thing is pretty darn funny. Enjoy!